I have a bit of a love affair with clematis going. I can’t explain this, other than by saying I find them to be very satisfying plants to grow. And I’m not alone. As I read and learn more about this great family of plants, I discover that there are a lot of people who are under its spell. 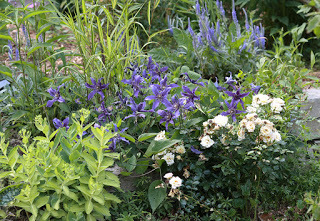 And I’ve seen a common theme: The love affair often starts with the bold, blousy, in-your-face types and moves to the smaller flowered varieties, the veritable shy, but smart and good looking kids in the corner of the clematis class. 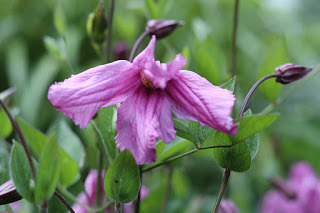 Clematis (I’m using that in the plural form and here’s why) are known as the “Queen of the Climbers” and for good reason: There’s a climbing clematis that will put on a great show for almost any spot in any garden. 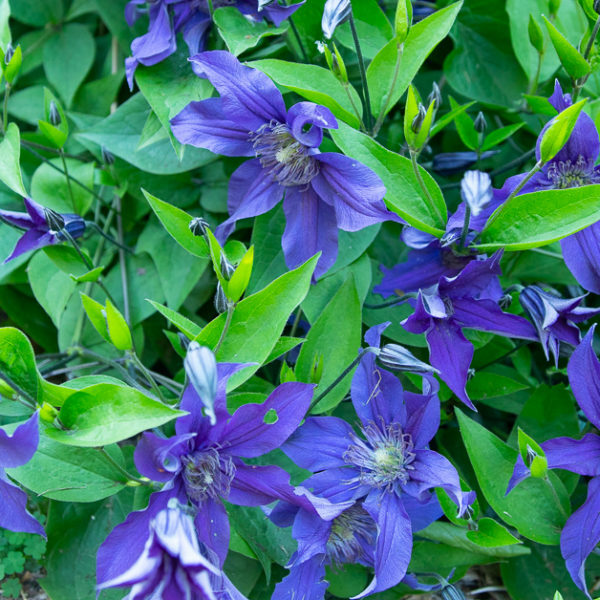 But here’s a little secret: Some of the best clematis aren’t climbers at all. 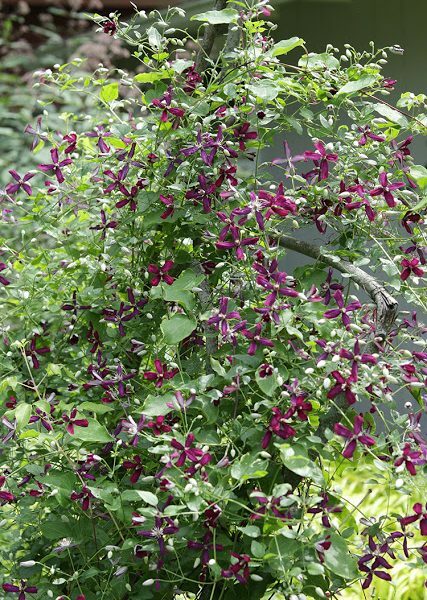 I’ve got clematis growing up trellises, poles, up trees and through shrubs, but look a little lower and you’ll find some of my favorites, the non-vining varieties. 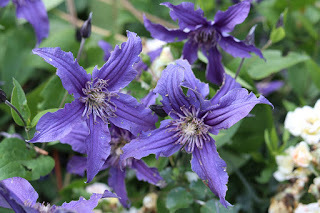 Right about now you may be thinking: “What is the point of a clematis that doesn’t climb?” And if you’re thinking of clematis in the typical sense, this makes sense. So stop thinking about them as clematis. Think of them as you might any other perennial, although one that blooms for an incredibly long period and gets on well with its neighbors. 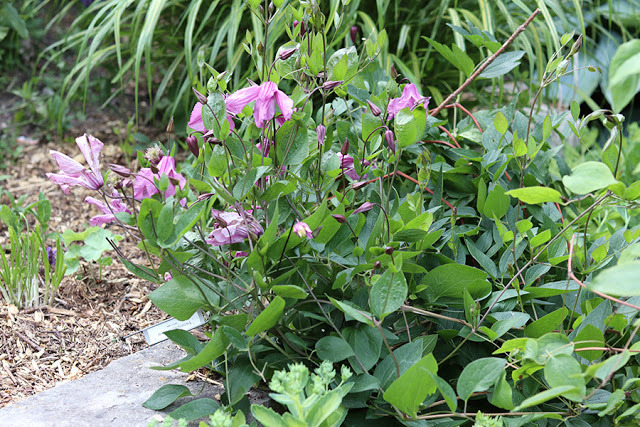 These non-vining clematis can be staked, or rather corralled, a couple feet and then allowed to spill over the top if you want a little bit of height, but they can also be allowed to just scramble at will, which is how I usually grow them. 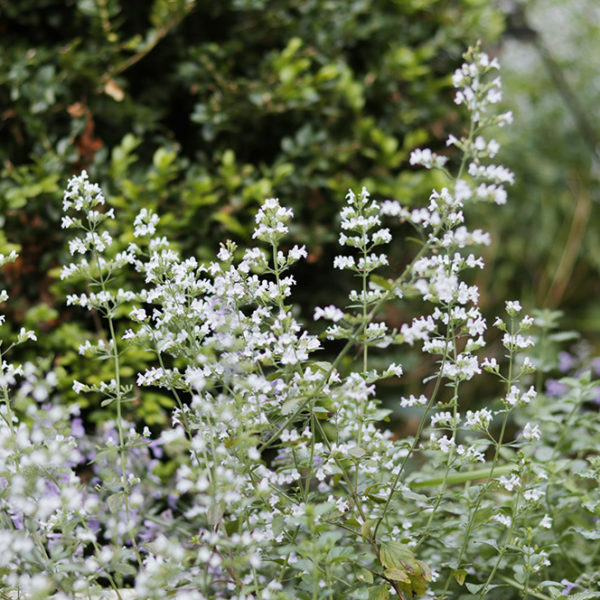 ‘Sapphire Indigo’ has blooms that just last and last even while more come. 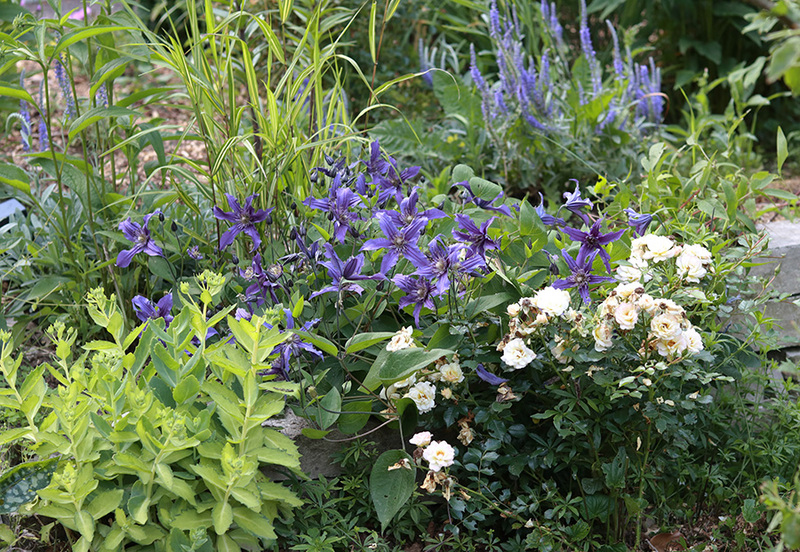 ‘Sapphire Indigo’ is perhaps my favorite clematis in the garden (after, perhaps, the more typical ‘Guernsey Cream’). The color is otherworldly: truly the color of a deep blue sapphire gemstone, although occasionally ranging toward purple. Its flowers, which keep coming in waves for weeks and last for ages before fading, are probably 3 inches across, but seem to cover the plant. I planted it along the short terrace wall off the deck, where I encourage it to flop over and it seems happy to oblige. It mixes nicely with the nearly ‘Honey Bun’ Oso Easy roses and is great with nearby chartreuse foliage. But it’s not in your face. A garden visitor last weekend spotted a climbing rose from the moment she walked into the garden but I had to point ‘Sapphire Indigo’ out to her before she spotted it. To me, that’s part of the charm. I’m all for bold plants, but you need special little spots in the garden that maybe aren’t appreciated at first glance. It encourages lingering, and if gardens weren’t meant for lingering than I don’t know any place that is. This pink clematis won’t catch your eye from across the garden and that’s part of its charm. On the other end of the wall, a pink non-viner is equally charming, although its flowers are large open bells. It’s killing me that I cannot come up with its name right now, but I have it somewhere. 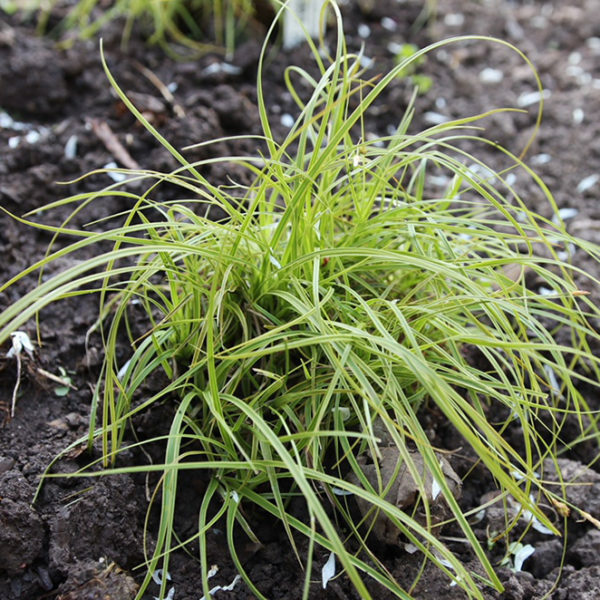 Recta ‘Pamela’ allowed to ramble through the border. Both of these have stems that are 3 feet at the longest, and probably shorter, but I’ve also grown larger clematis as sprawlers, including recta ‘Pamela’, which has tiny white flowers and 6-foot long stems. (‘Purpurea’ will do the same thing but has beautiful purple foliage to boot and I’d recommend that one as an alternative.) This is one that I tend to collect into some kind of staked situation for the first couple feet and then allow it to flop wherever it likes. It’s almost ethereal. Unfortunately there’s no sign of growth on this one this year, a situation I cannot explain. I’ve not given up on it entirely, however. 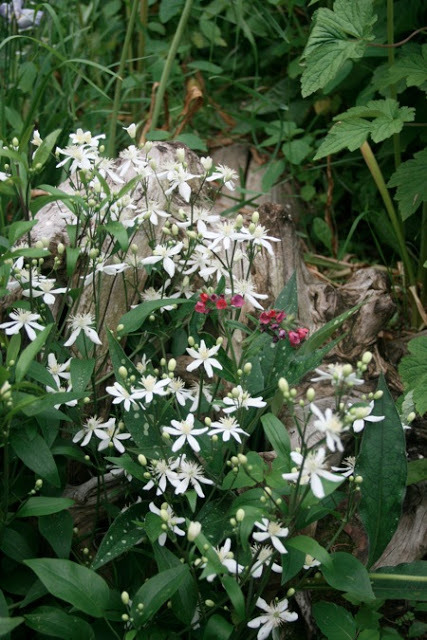 Clematis have a way of rallying even after a year of pretending to be dead. 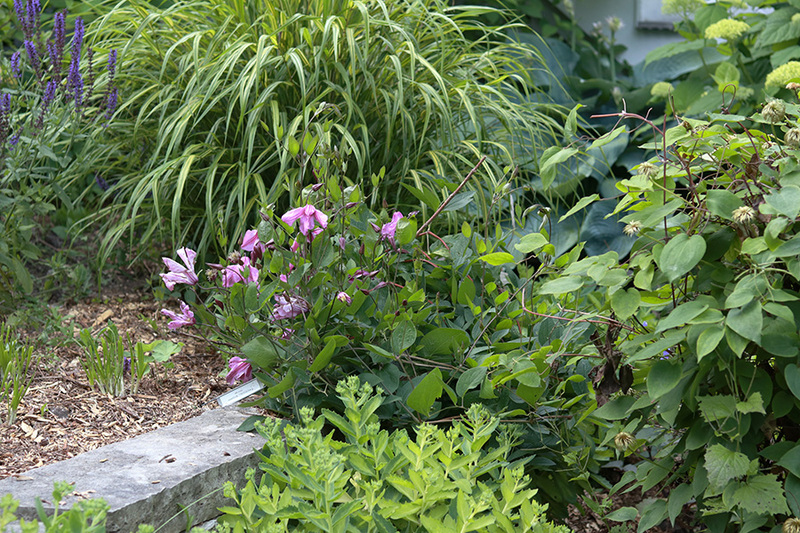 This year I added two more non-vining clematis: ‘Arabella’ and Clematis integrifolia. ‘Arabella’ just offered up it’s first bloom, a lovely little blue that aimed straight for the nearby ‘Paprika’ rose as though it knew it was destined for great color combinations. Integrifolia will be a dainty little guy that I put front and center off the patio so it won’t be missed. I’ve seen a lot of people lament that they can’t grow clematis, and I will bet that most of the time it’s the large-flowered Group 2 types that they have issues with. 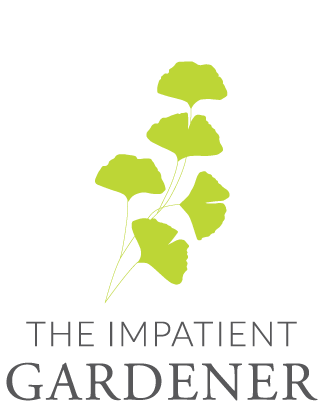 They can be a little tempermental, not to mention that they have confusing pruning rules associated with them. All of the non-viners are Group 3 pruners, meaning that you just cut them back nearly to the ground in late winter or very early spring. I feed all my clematis with Espoma Rose-Tone a handful of times a year, usually when I prune, about four weeks later, again after they bloom and maybe once more during the season. Beyond that, the non-viners seem to be very easy to grow. I do plant them with compost and manure and mulch them. People always say that clematis should have their roots in the shade, but that’s sort of inaccurate. They just want moist (but not wet) roots that aren’t allowed to dry out. 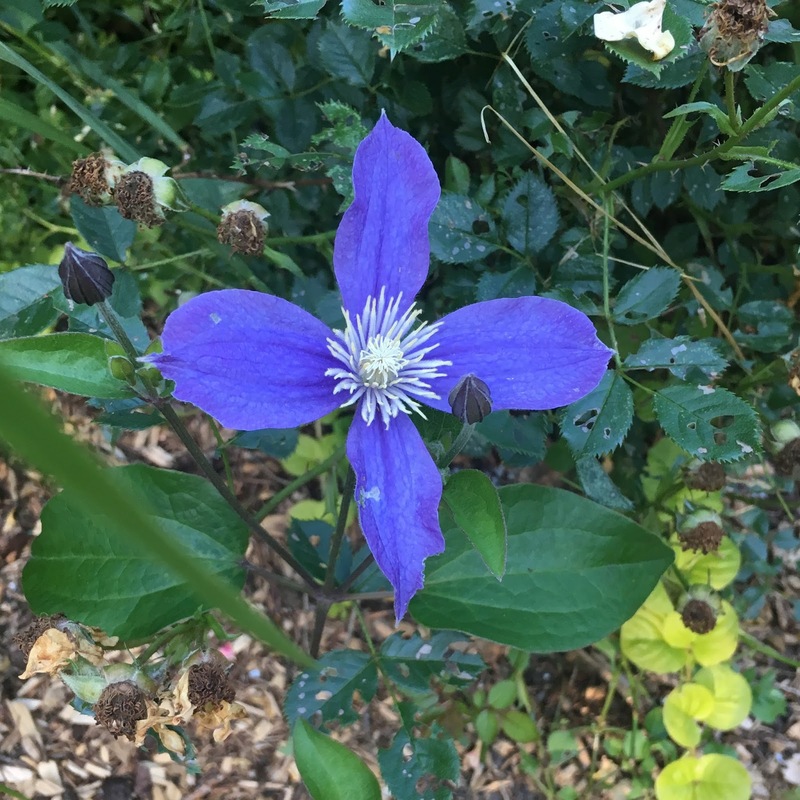 I encourage you to give non-vining clematis a try. Don’t be offended if a garden visitor doesn’t spot them immediately. Once they do, they’ll be in love too. Now you've got me trying to figure out if I have room for another plant or three . . .
Hmmmmmmm I always forget there is such a thing. I would love to have some in my garden. 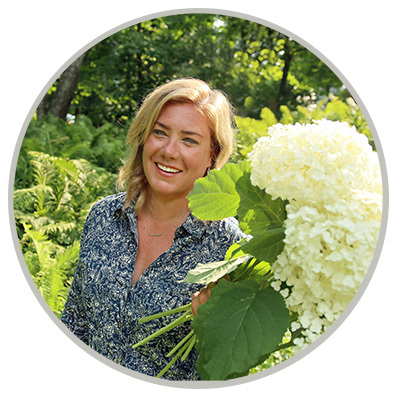 We share our loves of these beauties, but I had no idea about the shrubby ones! Wonderful post …love your photos!